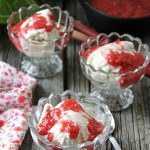 This 3 ingredient stewed rhubarb is easy to make and is ready in minutes, making it a wonderful last minute dessert. It’s great served over vanilla ice cream, on pancakes or on it’s own! In my yard I have a very small garden. Out city lot doesn’t see a lot of sun, so growing fruits and vegetables is very challenging, and honestly I haven’t had a tonne of success back there. One plant that has grown really well in my garden though, is rhubarb. In fact, my rhubarb plant is out of control, but in a good way. When I planted it a couple of years ago I wasn’t sure it would even survive in my garden (since not a lot seems to haha). But to my surprise it has completely taken over one section of my planter and this makes me very happy! 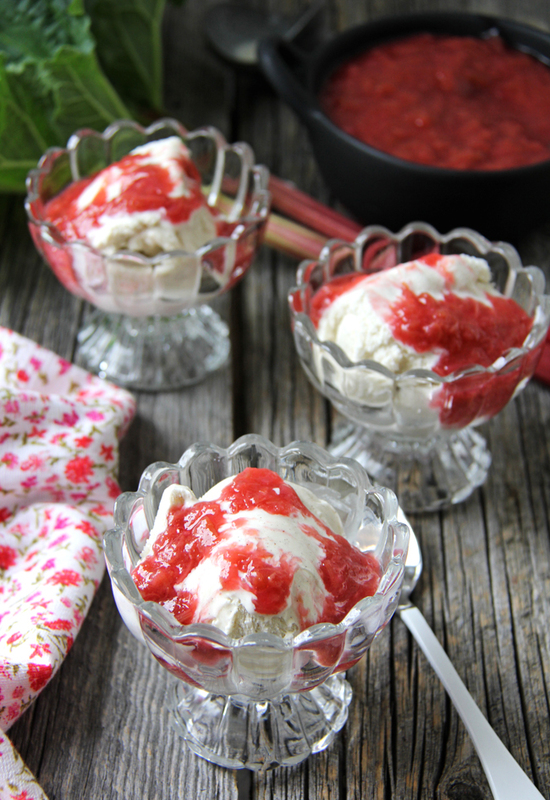 Rhubarb is such a nostalgic plant and recipe ingredient for me. Coming from the prairies, and with most of my family rooted in Saskatchewan, rhubarb was a staple ingredient in so many of the recipes I remember from my childhood. So I wanted to continue to have it as a staple in my home as well. And now with my own giant rhubarb plant, I have a lot of plans for it…jam, muffins, pies, loaves. Yum. So on this rainy day, I put on my rubber boots and headed outside to cut some rhubarb stalks. Rainy days are perfect days for cooking. On the menu today is stewed rhubarb. 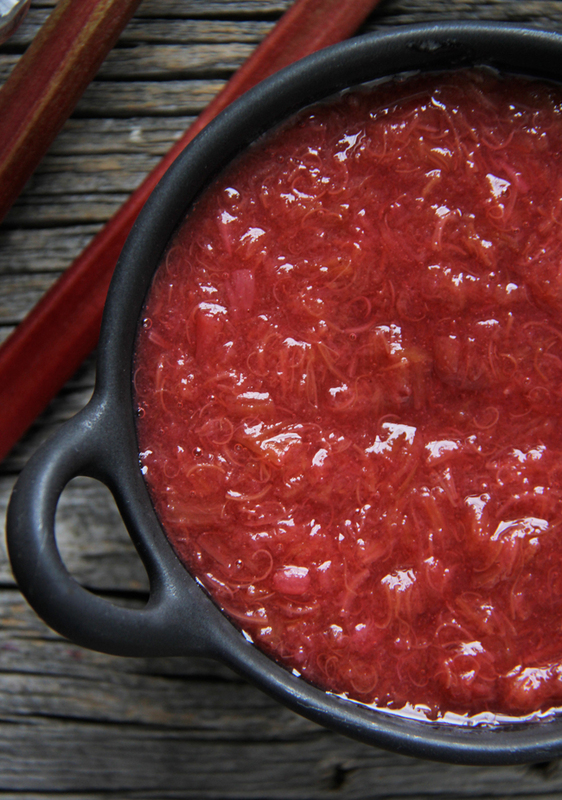 I’ve been dreaming all winter about making stewed rhubarb…yes, stewed rhubarb. Trust me, it’s a lot better than it sounds. 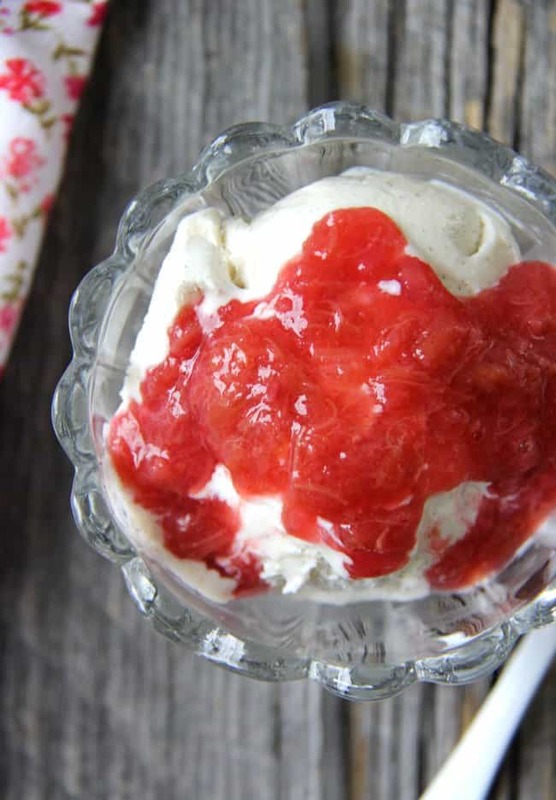 It’s basically a sweet rhubarb sauce that you eat over ice cream or pancakes or anything you think rhubarb will taste delicious with. It’s great by the spoonful too! 😉 This recipe is actually a really great way to use up the mountains of rhubarb that you might end up with in the spring. 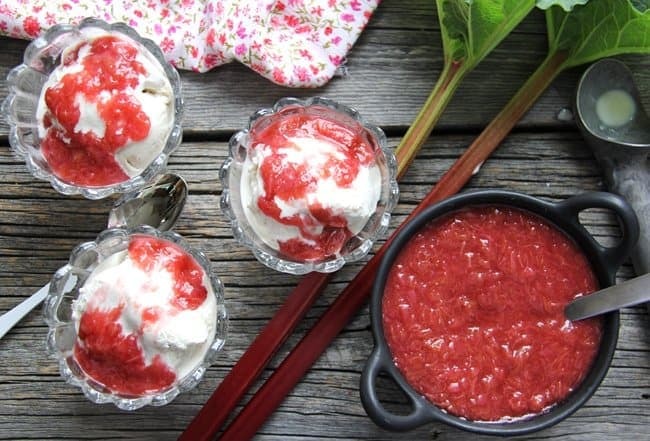 You can serve this stewed rhubarb warm, or not, but I have to say that it’s amazing warm over vanilla bean ice cream. SO good, even my picky 5 year old likes it! Mmmmm, tastes like comfort and sunshine. This recipe makes about 3 cups, so what ever doesn’t get eaten gets frozen. I just put whatever amount I want into a ziplock bag, and freeze it for another day. It’s great for those times when you need a quick dessert idea. In a saucepan, combine the rhubarb, sugar, water and cinnamon. Simmer over low-medium heat for about 15 minutes, or until all the sugar has dissolved and the rhubarb has broken down. I hope you love this recipe as much as we do! It’s the perfect spring dessert idea. For more delicious rhubarb recipes, check these out! I make Stewed Rhubarb every year for my brother. Next to Raspberry/Blueberry pies, Rhubarb Custard is my fav. Oh rhubarb custard sounds amazing! I might need to try that! Thank you for stopping by Cindy! 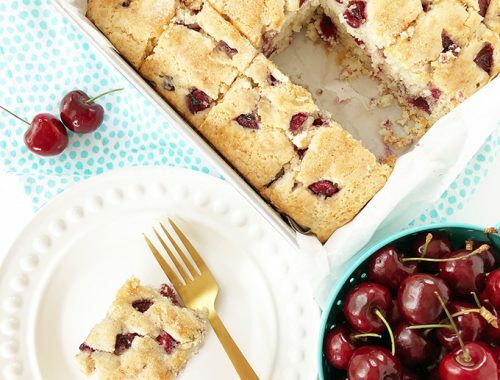 Easy to make, yet so delish. Love rhubarb! Yum! These all looks so good. I’ve never cooked with rhubarb before. I might have to try now. 🙂 Reminds me of when I was a kid. Thanks so much for sharing at #HomeMattersParty. Hope you come back and share again. Can anyone tell me if water bath canning this would be ok? My mother alwayz watrpacked rhubarb but I doNt remember how she did it. If you find out please let me know! I only remember my grandma canning it after it was cooked. 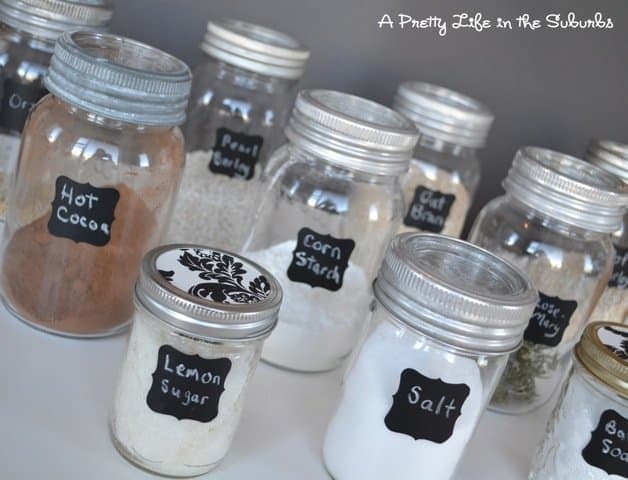 When she would put in pint jars or jelly jars and seal them. 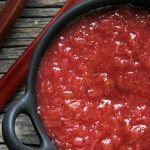 Can you stew the fresh rhubarb in the instant pot and use Stevia? Hi Jacqueline! I have never used an instant pot, so I’m not sure how they work! My mom used to make this. We grew rhubarb and I would eat it like celery. I’ve been looking for this recipe. It’s al so good on shortcake. I just made this. Deeeelish! I tossed four strawberries into the mix, and put some vanilla extract along with the cinnamon. Outstanding. I have two big patches. I just finished making jam, and I will make more tomorrow. I just ate a small bowl out of the pot as is. Yummm. Thank you for sharing this. I will be checking out the other recipes. I bow my head in gratitude to the Rhubarb Gods. LOVE this!! Rhubarb is the best!! Just made this and it came out sooooo delicious. I added puree acai and vanilla extract so goood. Then i had some with oatmeal!! Thank you for this delicious recipe!! You are so welcome Nancy! 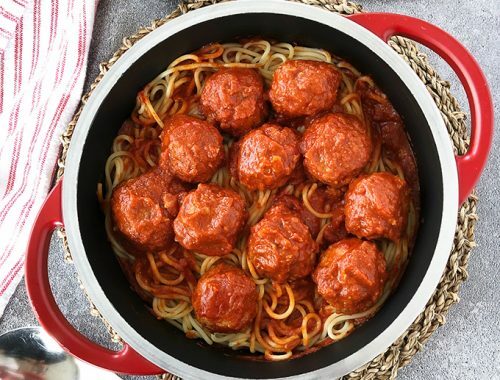 I’m really happy you enjoyed this recipe…it’s a favourite of mine! Yo, JoAnna! Glad you put this recipe for ordinary cooked rhubarb becuz that page in our old Betty Crocker Cookbook wore out and is gone. Thanks! 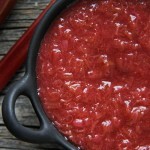 Why does the stewed rhubarb in your photographs look so amazingly red? Certainly didn’t resemble yours in colour, and followed your recipe exactly! Hi Jeanne! I find with rhubarb the colour can really be hit and miss. For this specific batch, my fresh rhubarb was particularly red, but I have made batches where the rhubarb is a bit green and the stewed rhubarb turns out kind of brown, but still tastes the same (delicious)! Like the person above, my rhubarb stew also did not turn out that beautiful red color in the OP’s pictures. It was more of a pastel pink which did not look appetizing. I ended up throwing in a handful of fresh cranberries and it helped. Other than that little snafu, this was absolutely delicious. So simple and quick to make. I drizzled it over vanilla ice cream and it was a hit with the family. Hi Lisa! I find with rhubarb the colour can really be hit and miss. For this specific batch, my fresh rhubarb was particularly red, but I have made batches where the rhubarb is a bit green and the stewed rhubarb turns out kind of brown, but still tastes the same (delicious)! The colour of the cooked rhubarb mostly depends upon the type of rhubarb used – a friend has plants that are called ‘strawberry rhubarb’ and the stalks are as red as can be…beautiful! 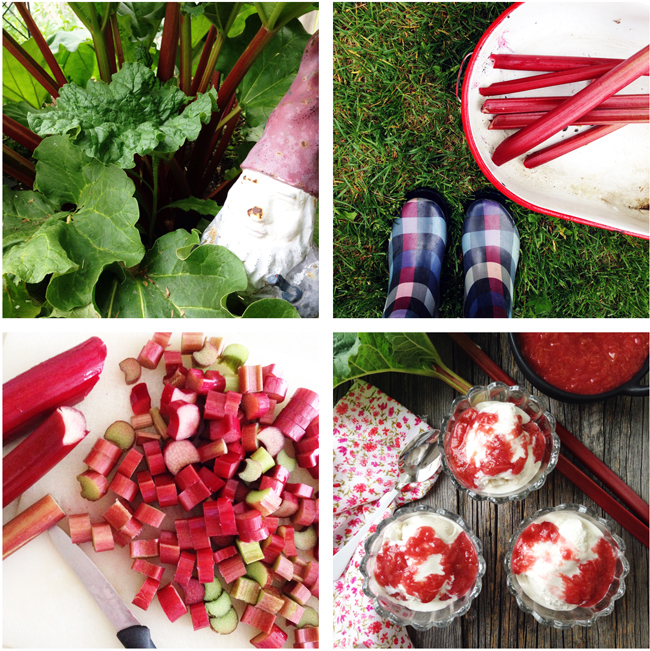 Having grown up in Saskatoon, rhubarb was a staple in our yard…. love it so much. Cooking a batch right now from my Mum’s garden! Oh delicious! I hope you enjoy this recipe Kathy…it’s such a favourite of mine! USB there supposed to be a lot of water in the pot?